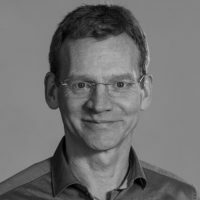 Matthias Spielkamp is founder and executive director of AlgorithmWatch. He testified before several committees of the German Bundestag on AI and robotics and serves on the governing board of the German section of Reporters Without Borders. Matthias has contributed to publications like MIT Technology Review and Die Zeit, and was named one of 15 architects building the data-driven future by Silicon Republic in 2017. As algorithms take more and more decisions for us, the moral, social, and political consequences of their processes must be examined.